MIAMI, FL - NOVEMBER 27: Kent Bazemore #24 of the Atlanta Hawks handles the ball against the Miami Heat on November 27, 2018 at American Airlines Arena in Miami, Florida. It has only been two games, but for a team that previously held a 3-16 record, two games – two wins – constitute a meaningful success for the Hawks. Kent Bazemore's move back to the bench is already paying dividends. "Coach just called me after practice," Bazemore said of the change. "I was at home eating lunch. He said, 'We want to shake it up a bit. We want to bring you off the bench.'" 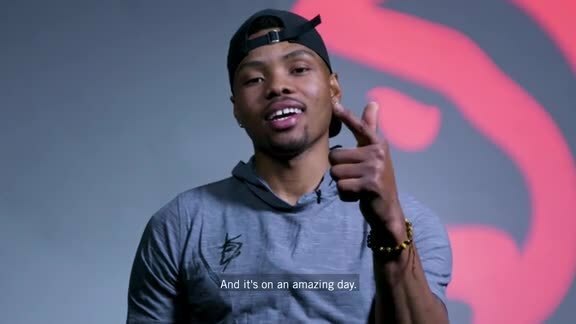 Bazemore agreed to make the sacrifice for the good of the team, and he has done nothing but make huge plays off the bench since then. In the two games, Bazemore has averaged 16.0 points, 4.5 rebounds, 1.0 steal and 1.0 block. Against Miami in a two-point win, Bazemore hit a long three-pointer at the halftime buzzer that proved to be quite significant to the final result. 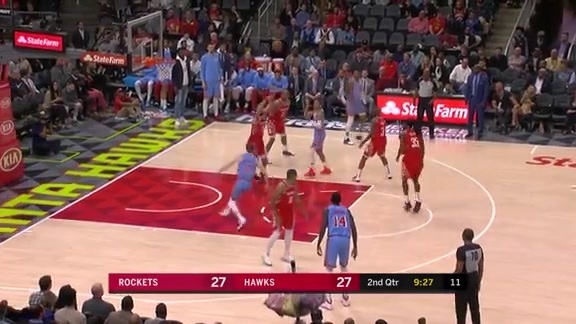 Then in the fourth quarter, when a 14-0 Miami run had squashed every bit of the Hawks' lead, Bazemore hit a pull-up jumper to give Atlanta back a lead that they never relinquished. Against Charlotte, Bazemore was even more spectacular, hitting the game-winning shot and making an energy play in the fourth quarter that was pure Kent Bazemore. Knocked it loose a second time. "I hope all of your questions tonight are about Bazemore," Lloyd Pierce said after the win over the Hornets. "He deserves it. The basketball gods rewarded sacrifice." Bazemore didn't flinch when asked to make the change, and he has been pleased with the initial results. "You realize how small you are in the grand scheme of things. Decisions like that are simple," he said. "It doesn't really matter who you're playing with as long as we have a common goal. I prayed last night that my sacrifice would do great things for this team, and so far we're off to a great start." The Hawks searched their collective basketball souls immediately following Friday's loss to Boston, their 10th consecutive loss. Bazemore believes that the extended team discussion yielded positive benefits. "We were trying to get on the same page," he said. "We were reeling for some wins. I don't even remember how many it was, but at some point, the weakness of man is the ability to not communicate. We got a lot of things off our chest – coaches and players alike. Then we came out and got a win because of it." At age 29 and as the longest tenured Hawk, Bazemore handles the role of leadership with care and a good deal of perspective. It's the reason that he's the type of player who can manage a move back to the bench after 84 consecutive starts with grace and a healthy mindset. "I was here for the 4-All-Star, 60-win team. I was the 12th guy and not much was asked (of me.) As my career has grown and I started figuring things out, my role has expanded. I'm a leader of a very young team. It forces you to grow up. I've got a child on the way now, and the family is doing great. I'm just growing up. It's been a fun process."